My favorite gift I’ve ever gotten for Valentine’s Day was two years ago from my husband. He went over and beyond and planned tons of notes throughout the week of- and even played some “get to know you” games with me too! It was so thoughtful and out of nowhere. I feel lucky to have someone that cares so much about making me happy. I just love Valentine’s Day and I almost always go buy myself some chocolates at least a week before the actual day haha. I like sweets… a lot. Don’t judge, haha! Do you have a favorite gift from your loved one on Valentine’s Day? 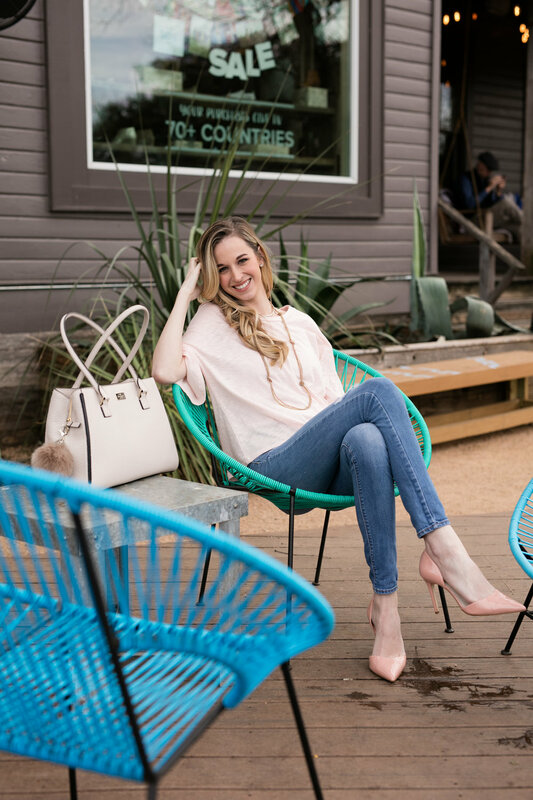 Well even though Valentines Day is tomorrow, I’ve got an easy date night look up today that can be worn all throughout the Spring! 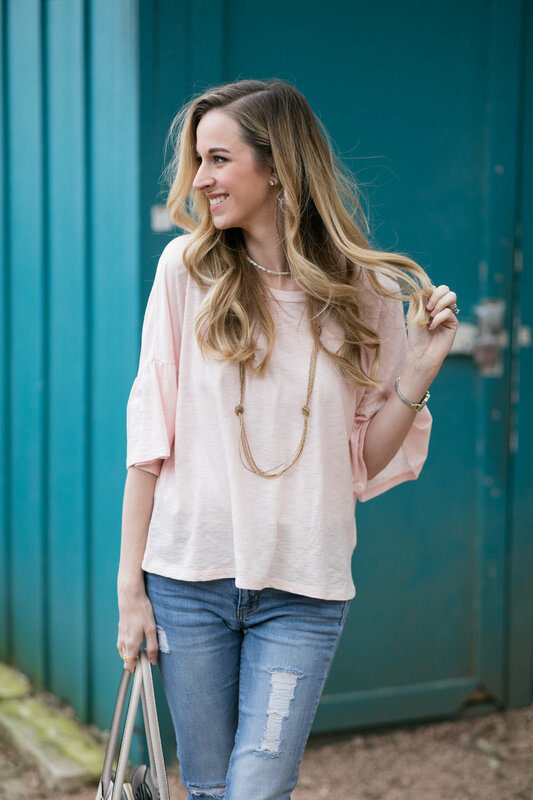 This blush top is a great piece to add to your wardrobe if you enjoy wearing pink! It also comes in a couple of other colors too if you don’t. 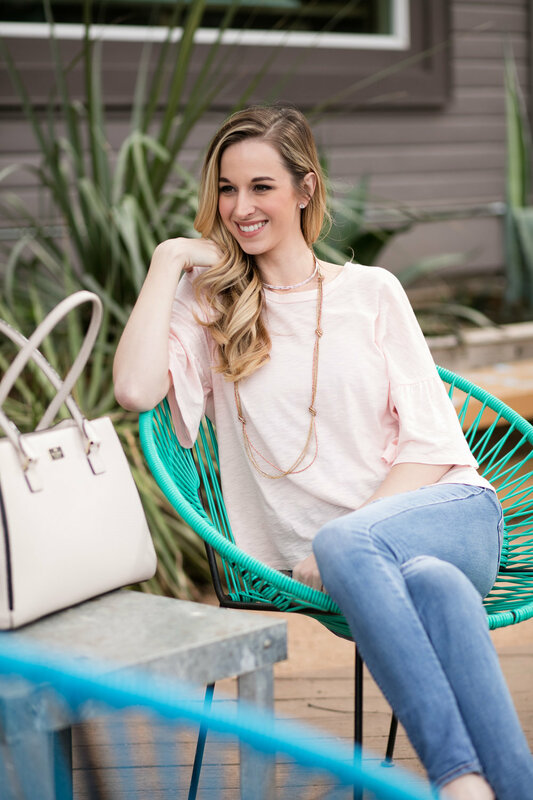 It’s a really soft and comfy t-shirt and I loved the bell sleeves. 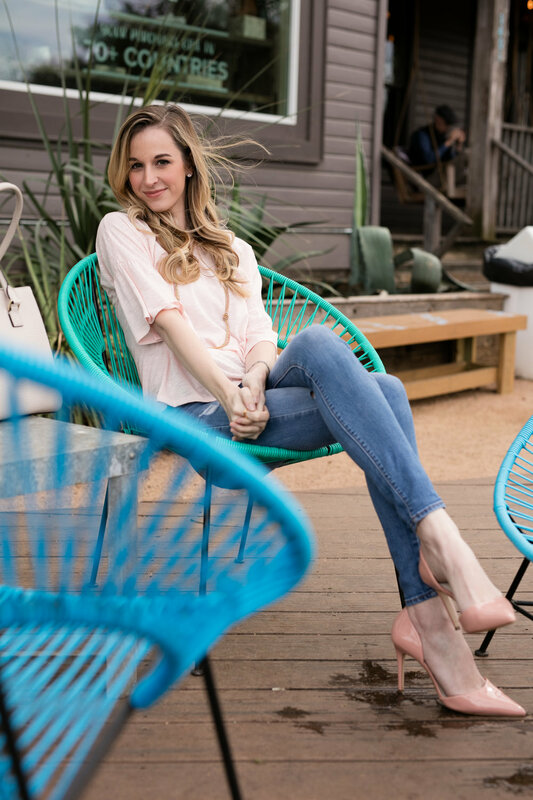 I paired it with my favorite distressed jeans (seems like all I wear is jeans haha) and a pair of matching blush pumps! My choker is old and I have no idea where it’s from, and my necklace is from Noonday Collection! I linked the rest of my outfit down below so you can check it out if you want to. I hope you have a great Valentines Day tomorrow! Enjoy! 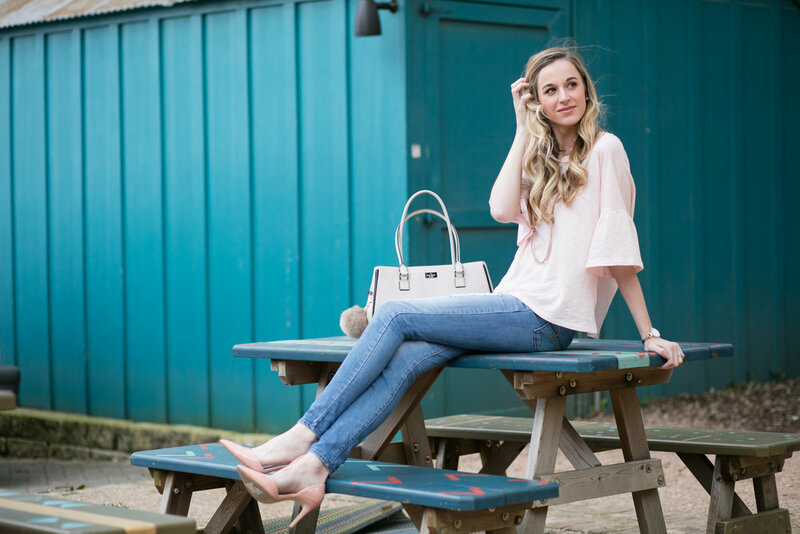 Previous Post The Ruffles Trend | Last day to enter nordstrom giveaway! Thanks Janna! Yes, chocolate is my weakness! Hope you had a great Valentine’s Day!